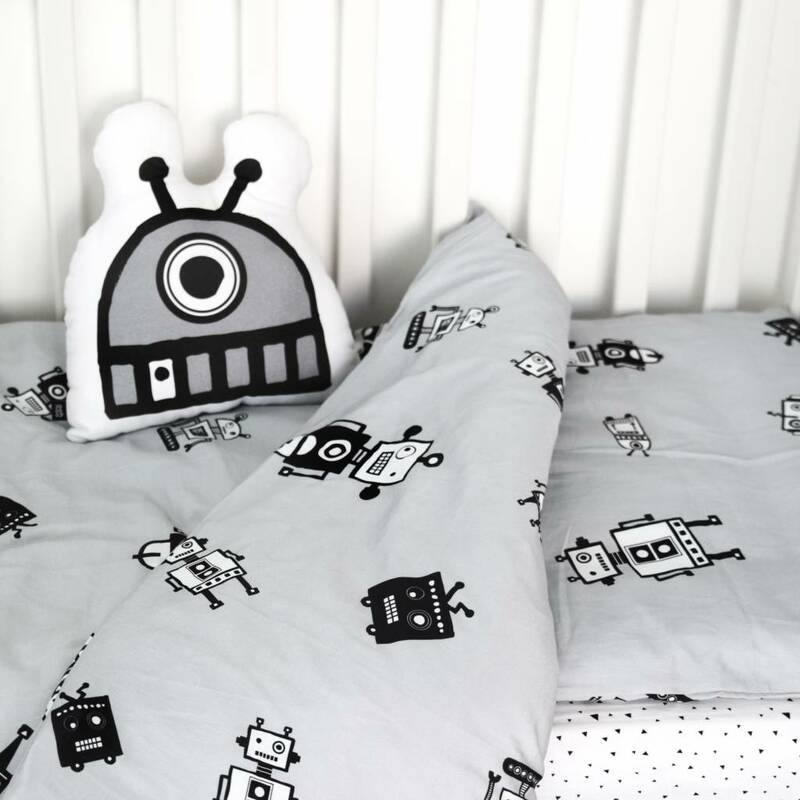 Cotton duvet cover with cute robots. The printed design on the duvet cover will start to fade and look less defined with every wash. Don’t fret: this was the look the designer was going for. 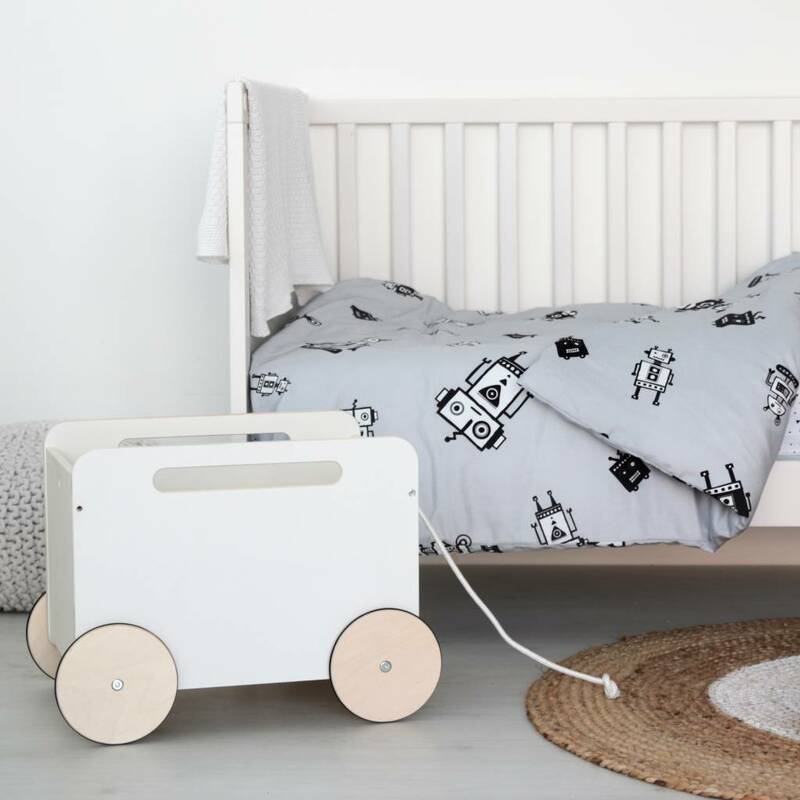 The entire ooh noo collection is designed in the European Union and is also produced here, by hand. This product is leaving the collection of the producer. Only a few duvet covers left.